I am a podiatrist. However, I recognize that its complete range of meaning is not clear to everyone, including some of my patients. This realization has struck me many times, as I’ve chatted with regular patients about what has happened in their lives since their last appointments. On several occasions, I have been surprised to learn that someone had seen another doctor for a lower extremity treatment, unaware that I perform the same procedure. 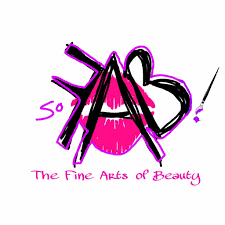 Therefore, I would like to detail my qualifications and acquaint you with the full spectrum of my capabilities. While earning my four-year university degree, a necessity for all aspiring podiatrists, I strove to exceed all of the standard pre-med requirements. Fortunately, I was accepted to the Ohio College of Podiatric Medicine. During the first two years, the courses, in the basic sciences, pharmacology, anatomy, physiology, and the cadaver lab, were nearly identical to those taught in a medical school. We had classes in the morning, and clinical rotations in the afternoon. Our subjects included surgery, general medicine, orthopedics, sports medicine, radiology, and dermatology, all with emphasis on the lower extremities. In one of my favorite classes, Pod Med, which we fondly called “arts and crafts,” we learned the techniques of casting, splinting, and padding. After graduating, I took the comprehensive, all-day state licensing exam, which is required to become a podiatrist. However, because I also wanted to be a surgeon, and achieve board certification, it was compulsory for me to receive advanced training in a four-year residency program, which I completed at The Medical Center, in Beaver. During that time, I performed more than 500 surgical procedures, while working rotations through the hospital in plastic surgery, general surgery, dermatology, vascular surgery, orthopedic surgery, the lab, and the emergency room. As is standard for all podiatrists, I practiced for several years before becoming eligible for board certification. This process entails several, grueling days of written and oral exams, and a review of 100 of my surgical cases, 25 of which are randomly chosen by a board of surgeons, who pore over them for months. This is what it means to be a board-certified physician, the only kind I recommend when selecting any type of doctor. 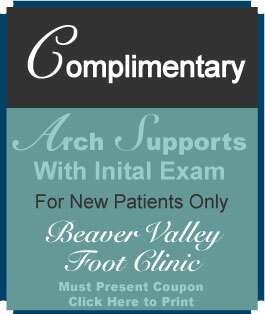 It also means that a board-certified podiatrist is the most qualified professional to care for your lower extremities. I am licensed in Pennsylvania to treat soft tissue below the knee, and bones from the ankle, down. Among other things, I provide diabetic and geriatric foot and nail care, cutting and treatment of thick nails, removal of ingrown toenails and warts, treatment and removal of ganglion cysts, fibromas, and lipomas, and the removal of foreign objects, such as glass and splinters. I also treat ankle sprains, broken bones, stress fractures, tendonitis, hammertoes, and bunions. In addition, I specialize in diabetic wound care, especially nonhealing ulcers of all types, including venous stasis and pressure ulcers. I have advanced training in treating heel spurs, and am certified to perform extracorporeal shockwave therapy for plantar fasciitis. With the only local, in-office diagnostic ultrasound machine, I can also perform Doppler vascular exams, and take foot and ankle X-rays. 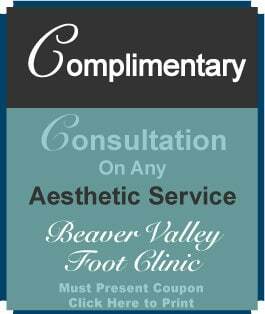 Call me, Dr. Christina Teimouri, DPM at Beaver Valley Foot Clinic at 724-772-FOOT (3668), or visit www.bvfootclinic.com for the help you need.